A while ago, during some rugby championship thing being held in New Zealand, a bank ran an advertising campaign that involved a series of billboards that pretended to guide Australian visitors to the game venues but instead tried to send them in the wrong direction. I tried Googling it to make my point more valid but couldn’t find it so I guess you’re just going to have to take my word for it. Anyway, it was all a bit of fun and games, really, no one took offense (and no one really cares if they did). One of the billboards told tourists that if they wanted to go out and party hard, they should head to Huntly. The point being that not a whole lot goes on in Huntly. At all. Ever. You don’t go to Huntly to party. You don’t even really go *to* Huntly. You go through Huntly on your way somewhere else. You might stop in Huntly if you’re low on petrol or need extra road trip food or if you’re absolutely out of your mind. Other than that, not many other reasons to go to this sleepy roadside town, home to just 7000 people and the country’s largest thermal-power station (apparently). In any case, if I told you that I celebrated 5 years of living in New Zealand by going to Huntly you’d be all like “whaaaat?” and I’d have to be all like “sorry, not sorry” and you’d be all like “SGG is lame! Unsubscribe!”. But, wait. Don’t close your browser window just yet! I can explain. Last year, on May 26, I celebrated four years in New Zealand with an amazing 35k trail run so, this year, with half a decade to celebrate, I felt like I should do something to mark the occasion. I looked up running events in the general Auckland area for May 26 and noticed that the Huntly Half Marathon would be on that day. Coincidence? Definitely. But that’s not the point. Last Friday afternoon, since I’d left it too late to organise any decent celebration with friends and couldn’t really think of what else to do, I decided to register for the event. It seemed strangely fitting to celebrate half a decade in the country with a running event. Instead of celebrating by dressing up and hitting some cool club in the big city, I dressed down (in running gear) and headed to Huntly. I wasn’t expecting a PR for a race I had entered less than two days before it was meant to take place. Not even I’m that stupid. I wanted a nice run and the whole event atmosphere. I got exactly that. I arrived at the Huntly Domain 20 minutes before the start of the race, picked up my bib and timing chip and headed straight to the bathroom queue to get rid of all the water I’d drunk on the drive down from Auckland. There were hundreds of people around and it had even stopped raining just in time for the start of the race. I chose the domain bathrooms instead of the portaloos close to the start line because I sometimes tell myself I’m too fancy for portaloos. I had to listen to the race briefing from the queue, while trying to figure out where exactly the start line was (I could see it was on the other side of the park but wasn’t entirely sure where). As I was washing my hands, I heard the race start so ran across the muddy domain to the start line, along with a bunch of other people who had to abandon the queue (on the plus side, at least I got to pee). The really cool thing about half marathons in really small towns is that you get the chance to see the entire town (and you get to see some bits of it twice). You run a full marathon in Auckland and don’t get to see all of Auckland. Same if you run a full marathon in Wellington. But run half of that distance in Huntly and, 21.1km later, you’re a Huntly geography expert. Before we even got to the 4km mark, we had to go over a bridge and back. I like out and backs in the first few kilometers of races because I get to distract myself with trying to spot people I know as they make their way back. This time, I only spotted Mike Tennent, the crazy awesome guy who’s running 52 half marathons in 52 weeks to fundraise for Hospice New Zealand (Huntly was event 3 of 52 for him). I’m not such a big fan of out and backs towards the end of the race because the people I’d normally spot in the beginning are actually pretty speedy and are probably at home, showered and napping by the time I get to the final few kilometers of the race. Races in small towns are really the best kind of races. I like running in Auckland where there’s a much bigger crowd to cheer you on as you run along, but nothing quite compares to the scenery you see along a countryside event. I ran Huntly in 2:11 which isn’t my best time but, on the bright side, it’s also not my worst. It confirmed my suspicions that I really can’t just count on luck to break any records and will have to resign to the fact that following a proper training plan is the only way I’ll ever break my current 2:03 PR. That said, it was an amazing run for me. Mostly because of how it allowed me the chance to really think about what these five years in New Zealand had done to who I am. Five years ago, when I moved out of mum and dad’s and straight to the opposite side of the world, I was secretly terrified of not knowing what to do with myself. I didn’t even know for sure whether I could cook my own food or not and was certain I’d damage my entire wardrobe in the first three loads of washing, before getting in real trouble with authorities for not knowing what to do about stuff like taxes and banking stuff. Half a decade later, I’m doing ok. I think I’ve ruined one t-shirt and burned my toast a couple of times but nothing that could get my adulthood membership revoked. But I guess everyone expected that. Lame love declaration aside, it’s been a great half decade and all these good thoughts kept my mind busy during the run and didn’t give me much of chance to freak out about how I hadn’t trained for another 21km at all and had just rocked up to an event I had only just signed up for a couple of days before. And now I’ve just wasted over 1200 words when all I really wanted to say is that I ran a half marathon in Huntly as a way of celebrating half a decade in New Zealand and it might not have been a conventional celebration but it was definitely an amazing one. The race was really well organised, the volunteers were great, the people in Huntly were all super nice and I even got recognised by another runner who remembered me “dressed in all green” at the Coatesville half a couple of months ago. Here’s to a lot of other milestones celebrated with running events. I see a little tradition in the making. 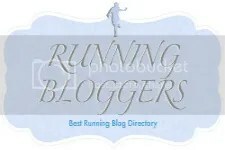 Categories: running | Tags: fitness, half marathon, kiwi anniversary, living in new zealand, new zealand, run, running | Permalink. Awww! Congrats on your 5-year-iversary! Feelin’ warm and fuzzy for you right now. And you describe, quite well, what I (too) love about small town races. Although…no such thing exists in Singapore. Hot socks! And happy 5 years in New Zealand! Congrats on 5 years in NZ. Huntly definitely turned it on in the weekend for the half. I was there supporting my wife in her first half, so proud! It was kinda weird not to be running, but a pleasant change and a cool way just to take in the atmosphere and see some competitors that I’m normally only watching disappear into the distance. Always enjoy your posts and great new socks! Thank you! I know what you mean about just taking in the atmosphere as a spectator. Becoming a runner as made spectating running events even more special! Congrats to your wife on her first half! Hope it’s the first of many! Congrats on your 5-year anniversary. I love your socks. Happy anniversary!!! I must say-that is one heck of a way to celebrate! Where did you get the socks? I reckon we should go explore Huntly further. That lake to the west looks like an awesome spot for discovery. Congratulations on a great finish and on 5 years in NZ! It sounds like it was a wonderful way to celebrate. wound up here Half marathons are the new anniversary parties | super generic girl. of these remarks come across like coming from brain dead individuals? A half marathon through Huntly to celebrate 5 years in NZ; isn’t that kind of analogous to running a half through Chernobyl to celebrate 5 years of being radiation-free? I’m sorry that you had to see Huntly after only 5 years in NZ. Congrats on NOT logging straight onto webjet for cheap flights to Portugal on your return. You clearly have some resolve. I grew up in Wanganui, I left in 1985 and it’s taken me all the years between then and now to learn to forgive my parents and love them unconditionally. This will make sense to you if you ever decide to do a run in Wanganui. My recommendation? – give yourself another 5 years before you consider it.